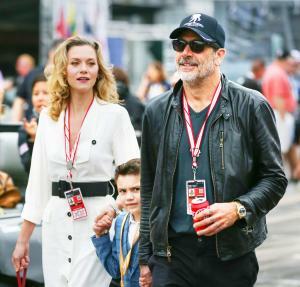 March 7 (UPI) — Hilary Burton and husband Jeffrey Dean Morgan introduced their daughter in an Instagram post Tuesday. The 35-year-old actress shared the first photos of her “miracle baby,” George Virginia, and reflected on her fertility struggles after welcoming the infant with Morgan in February. Burton and Morgan announced their daughter’s birth March 1 after confirming Burton’s pregnancy in September. The actress said it took five years for her to have a successful pregnancy, making her “cautious” about sharing the news. “I didn’t want to celebrate for fear of jinxing it,” Burton said. “I checked her heartbeat every day, up until the day she was born. And now that she is here, I just stare at her in wonder all day. I see her in her daddy’s arms and I don’t take any of it for granted. Morgan responded to Burton’s post in a tweet Tuesday afternoon. “I just couldn’t be more proud. Or lucky. Xxxjd,” he wrote.